Two tangent lines are drawn from a point to the unit circle with center radius 1. 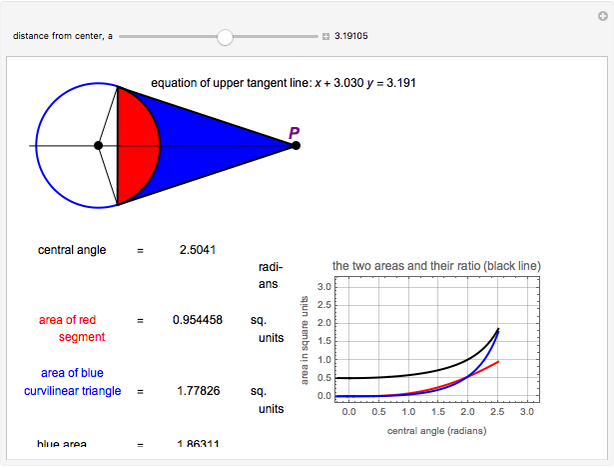 The limit of the ratio between the blue area between the two tangent lines and the circle to the red area of the circular segment as the central angle approaches zero is 1/2. By moving the slider, you can see the changes in this ratio. 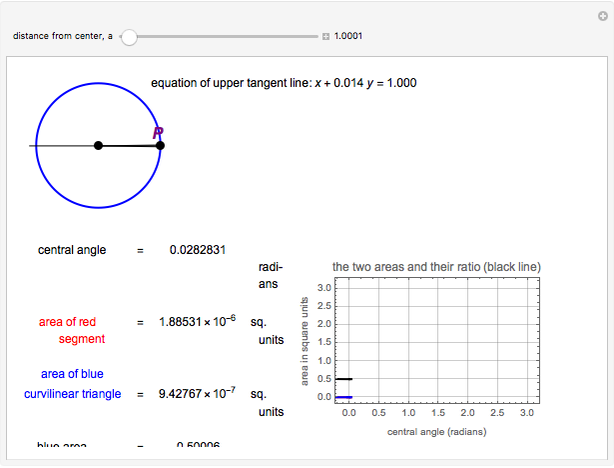 The points of tangency are: . 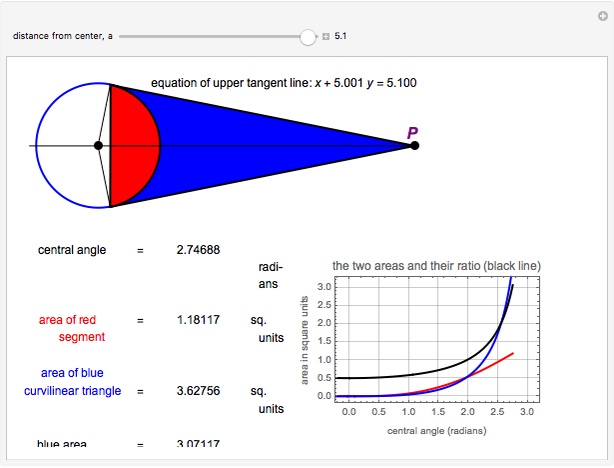 The equation of the upper tangent line is: . The blue area is . The area of the red segment is . The ratio of the blue area to the red area is , where is the central angle. Abraham Gadalla "Ratio of the Areas of a Circular Segment and a Curvilinear Triangle"